It is well known that the next Hearthstone expansion will be announced on March 11th. Blizzard normally does something cryptic like “Something inside the Tavern stirs…” Which while it may seem interesting and sparks interest we here like to get straight to the facts so here is what we know. Reddit user That_Azzin took a picture of a Mural on Reddit. 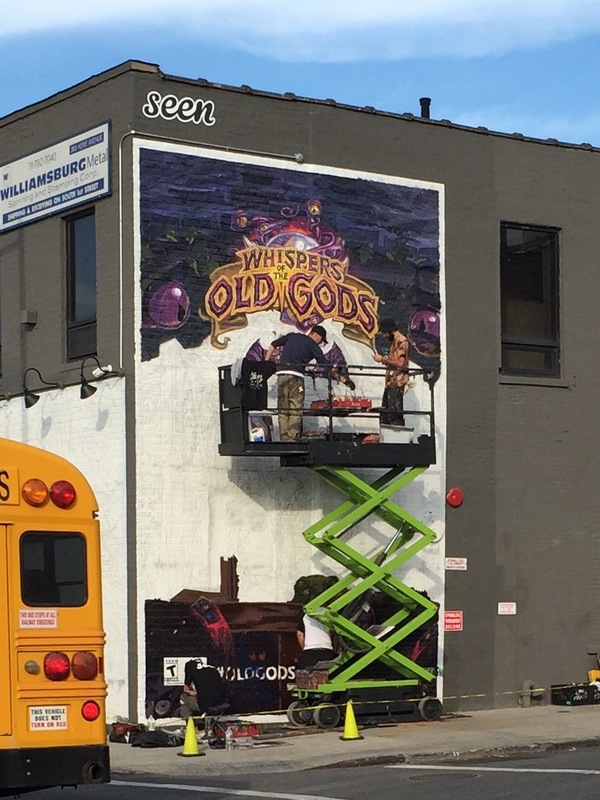 The mural certainly has the makings of a Hearthstone expansion. His post reads as the following. edit: I went back today and it’s 9am this is what it looks like now https://imgur.com/a/QGweJ it’s not very updated :/ So this is a hand painted advertisement I found on the way to work today. I don’t know if it has been announced yet but it looks like the next expansion will be Whispers of Old Gods. http://imgur.com/4F5IRoy I’ll post again once it is finished in a day or two Edit: will update this post at 4pm tomorrow to show how the mural is coming along, hype trainnnnnnnnnnnn. There is talk that this was an unintentional mistake and there are plenty of posts over on the Hearthstone subreddit that is causing some heated debates over the validity of the photo, and more theories that are springing around. What do you think of the photo? Does it look legit and what do you think of the mural? Was a mistake, intentional? Tell us in the comments below what you think of it!